Howdy, my fellow creative minds! How have y’all been feeling lately? I’ve been a bit under the weather the last few days because I managed to catch myself a cold… Yay. I hate having to deal with a sore throat, headaches and the obligatory running nose, but the worst thing is that you just feel like crap and can’t muster up motivation for anything. Sad life, really. Anyway, the project I wanted to show you today is a hat I knitted a while back for the little sister of a friend of mine. I had created kind of a collection of similar ones for my closest friends, and she wanted one for her birthday – and as I had currently been projectless, I figured ‘why not? 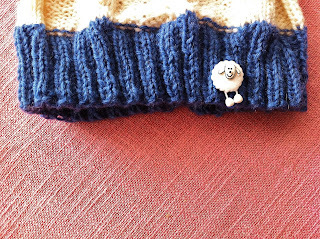 This hat was made out of leftover scraps of wool, so I couldn’t exactly tell you what the colours were called, and I used size 7 knitting needles, which equals to 4.5mm in metric size. For the bottom brim I alternated between two garter stitches and two purl stitches, as I wanted the ribbing to be quite stretchy. 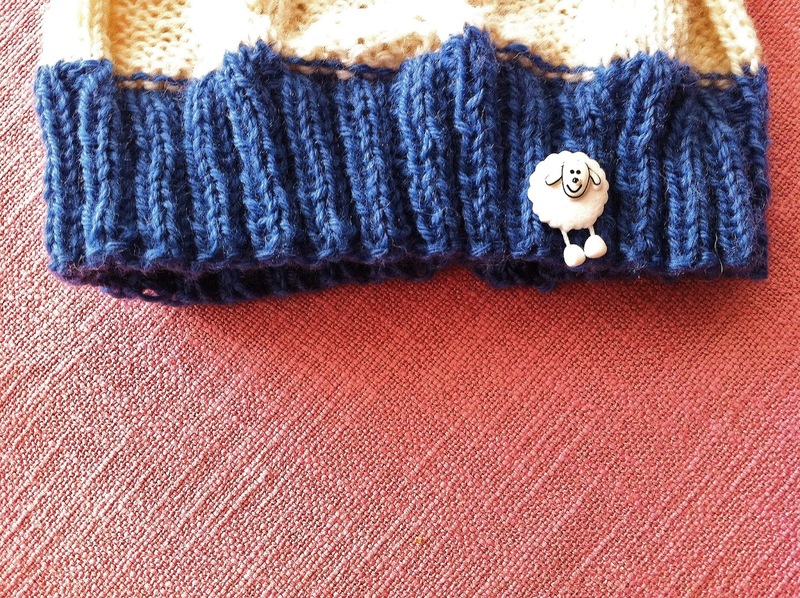 The top part is knitted slightly different: I quadrupled the amount of stitches per column and purled 8 stitches, then knitted 8 stitches for the cable and crossed them in every fifth row. The bobble is the easiest part to make as I’m sure most of you will know from experience, so this would be a great way to let your kids participate in the making of their hat. 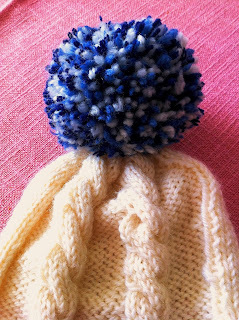 Or just as a singled-out project, there are soooo many gorgeous things you can do with bobbles! I hope you liked the looks of this hat, I’ll make sure to knit my way through winter (again) and share all my projects with you! really happy you like it!